For more than 60 years, Sophie Tucker was a dynamic live performer whose bold and sometimes racy singing style won her the title “Last of the Red Hot Mamas.” On January 13, 1884, she was born Sophie Abuza in Russia. Her parents soon immigrated to the United States, first to Boston, then to Hartford, Connecticut, where they opened a restaurant. Sophie, hating working in the family business, was drawn to the performers from a local vaudeville theater who frequented her parents’ establishment. As a girl, she often sang for their entertainment in exchange for a little pocket change. She decided show business was a much better way to earn a living than cooking meals and washing dishes. In 1903 she married Louis Tuck and had a son, Albert. Though she later affectionately referred to Tuck as “a card and a wonderful dancer,” she was disappointed by his inability to provide for the family. She soon left Albert with her family and took off for New York, hoping to carve out her own career as a singer. 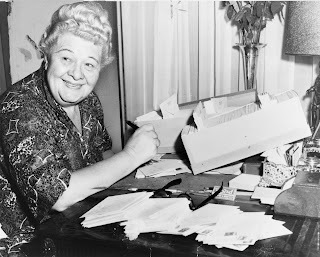 Calling herself Sophie Tucker, she found work in cafes, beer halls, and movie houses, often singing as many as 100 songs a night. Moving into burlesque, she was initially forced to work in blackface, because theater managers, believing she was unattractive, wanted to hide her features. But when her luggage failed to arrive at one venue, she had to go on stage without makeup. She was such a hit with the audience that night tat she refused to ever perform in blackface again. In 1909, Tucker had become so successful that she was hired for the prestigious Ziegfeld Follies. She was quickly dismissed, however, when other female stars felt threatened by her show-stopping numbers. She then left for Chicago, where she appeared in several musical comedies and refined her vaudeville act. Tucker found great success belting out songs with suggestive lyrics, most notably the naughty “Nobody Loves a Fat Girl, But Oh How a Fat Girl Can Love.” She also pleased crowds with sentimental ballads, including “M-O-T-H-E-R—A Name That Means the World to Me,” a tear-jerking tribute to maternal love. Carefully crafting her act, Tucker learned to sing a variety of tunes to keep her audiences attentive. In her biography, titled Some of These Days after her signature song, she wrote, “I would start off with a lively rag, then would come a ballad, followed by a comedy song, and a novelty number . . . and finally, the hot song. In this way, I left the stage with the audience laughing their heads off.” Tucker also excited her fans with her extravagant and ever-changing costumes, which cost many thousands of dollars each time she retooled her act. By 1920, Tucker was a headlining star in New York. She achieved equal, if not greater, fame in England during her first tour there in 1922. Fitting well into the British music hall tradition, Tucker earned the adoration of English audiences on two more tours in 1925 and 1934. During the latter, she played a command performance for the royal family. As vaudeville’s popularity waned in the 1930s, Tucker began to work in films and radio, but neither medium made good use of her talents. She was always at her best with a live audience, and her act lost much of its punch when she had to clean up her language for a mass audience. (She once bemoaned what radio did to her routines, explaining, “I couldn’t even say ‘hell’ or ‘damn,’ and nothing, honey, is more expressive than the way I say ‘hell’ or ‘damn.’”) Tucker felt much more at home in nightclubs, which she continued to play for the rest of her life. She also later appeared regularly on television, enjoying particular success as an early star of British TV. In her personal life, Tucker, after her first husband’s death in 1914, had two unsuccessful marriages to pianist Frank Westphal (1914–19) and personal manager Al Lackey (1928–33). She remained devoted to her family and used her fortune to make sure her parents lived well. Tucker was also extraordinarily generous to a wide variety of charities, which she supported with sizable donations and benefit performances. 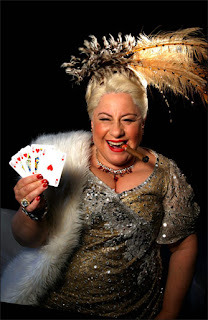 Founded from the proceeds from her autobiography, the Sophie Tucker Foundation established a chair for the theater arts at Brandeis University in 1955. According to the New York Times, Tucker donated an estimated $4 million to charity during her lifetime. In 1965, Tucker collapsed onstage while performing in New York. She died four months later, February 9, 1966. A veritable institution of American entertainment, Tucker—with her brassy sound, comic sense, and intimate rapport with her audience—continued to find new generations of fans long after the vaudeville days that made her a star were all but forgotten. Tucker, Sophie. 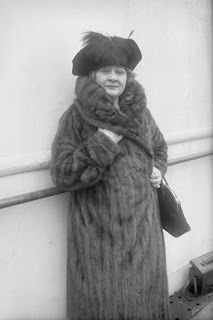 Some of These Days: The Autobiography of Sophie Tucker. Garden City, N.Y.: Doubleday, 1945. Last of the Red Hot Mamas. Memoir Classics, CD, 1998. Some of These Days. Pearl, CD, 1997.